Google is far-and-away the most popular search engine that people use to find out information about anything. If someone is looking for a place in their area to get dinner, or trying to find out if a certain movie is child-friendly or, for our purposes, if they need to check the hours of a veterinary hospital, performing a Google search will get them access to this information within seconds. But this knowledge doesn’t just magically appear—for businesses like animal hospitals, they have to do some legwork to ensure their Google information is accurate. The easiest way they can do this is to claim their Google My Business Listing and update their own information, rather than have Google automatically do it for them, which can sometimes result in inaccuracies and inconsistent information. According to iVET360’s 2018 Veterinary Marketing Benchmark report, 92 percent of animal hospitals have claimed their listing, which is good but could still be better (100 percent of iVET360 hospitals have a claimed GMB listing). So, why are we discussing the importance of Google and GMB listings? There are two concepts we’ll talk about in this article: voice search and Google Assistant. Voice search is a speech recognition technology that allows users to perform searches by saying terms out loud to a device, rather than typing these terms into a search field. Voice search has been written about and advertised everywhere for the last few years, but it’s finally here and it’s now affecting your hospital. The proliferation of smartphones and other small, Web-enabled mobile devices has spurred interest in voice search from consumers and companies alike. Whether your hospital knows it or not, voice search is already being implemented in your day-to-day operations—for example, anyone can easily use voice search to ask their device your address, business hours or other information. Apple’s Siri and Amazon’s Alexa are two major examples of voice search technology. And then there’s Google Assistant. Google Assistant is Google’s version of voice search. Users of GA can ask their device about the weather, get traffic updates, find out the latest sports scores, have it call businesses on their behalf and much more. Regarding phone calls, Google Assistant essentially acts as a middleman (or, middlewoman) for someone so they don’t have to undertake the task of dealing with the nuances of a real phone call, which includes things like wait times and other unpleasantries. For instance, if someone wants to reserve a table for two at the best French restaurant in the city, all they’d have to do is verbally tell Google Assistant the time, place and how many people are in their party, and it’ll call the restaurant, make the reservation and then confirm it with them—it’s that easy. Along with making restaurant reservations, people can schedule doctor visits, auto maintenance repairs and even veterinary appointments. How Exactly Does Google Assistant Affect My Veterinary Hospital? 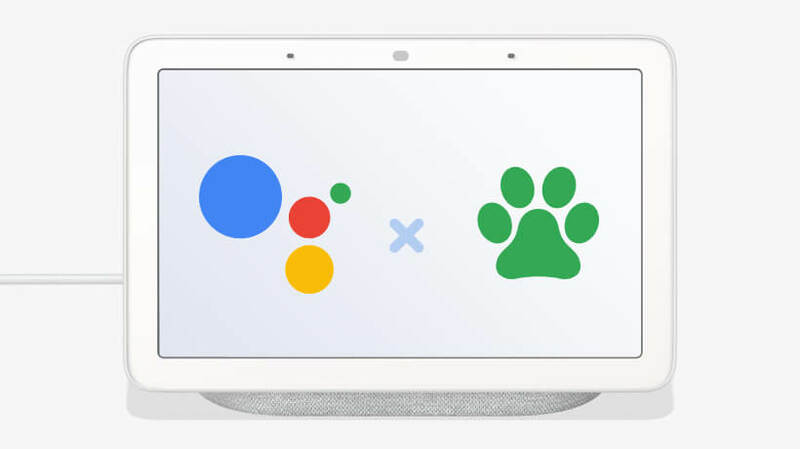 To paint a picture of how Google Assistant specifically affects veterinary hospitals, let’s first discuss appointment bookings. When a client tells GA to make a veterinary appointment on a certain day and during a certain window of time, the Assistant will call your hospital to schedule this visit for the client, and then will confirm this appointment with the client (similar to the above French restaurant example). Another way that GA affects your hospital concerns your public information on Google. If someone has a question about your regular business hours, holiday closures or other similar inquiries, Google Assistant will answer these questions for them. 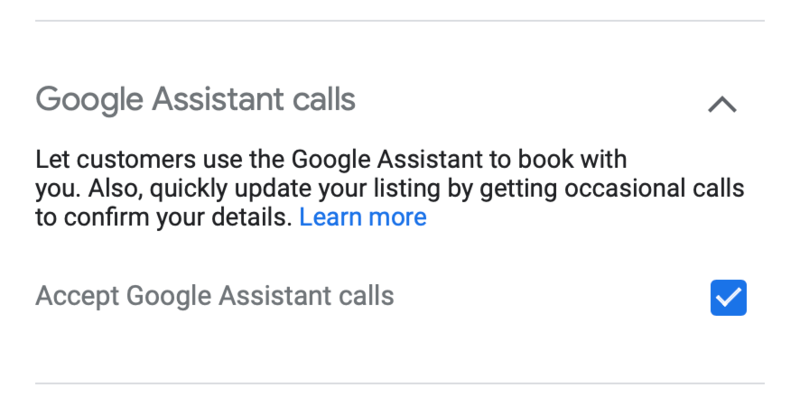 Changing your Google My Business settings: log in to Google My Business, click info from the menu, look for “Google Assistant Calls” and then uncheck the box that says, “Accept Google Assistant Calls.” (This option only works if you have verified your business on Google). As we mentioned above, 92 percent of animal hospitals have claimed their Google My Business listing. However, it’s important to consider that claiming a GMB listing is useless unless all of the information on the listing is accurate. Having a claimed GMB listing is the engine that gets everything running. But in reality, especially if you’re an animal hospital, Google My Business and Google Assistant may be the last thing on your mind, especially around this time of the year, as heartworm is more prevalent, and flea and tick season is underway. Which is why at iVET360, we have made it our mission to help veterinary hospitals with things like marketing, analytics, and HR and training, so they can concentrate on what they do best: helping heal companion animals. At iVET360, we are a proven and trusted friend of the veterinary industry. This is evident through the hundreds of animal hospitals that we work with all across the country. Our marketing experts are well-versed in all things related to Google, including SEO, the Knowledge Panel, Ads and much more. We can answer any questions you may have about business-related best practices for your hospital, so you can focus on what you do best, which is providing veterinary care to pets. For more information on our suite of services, we encourage you to contact us today.